Ever notice how the leftover cranberry sauce runs out before the turkey? Here’s a zippy recipe that’s perfect for Christmas leftovers. 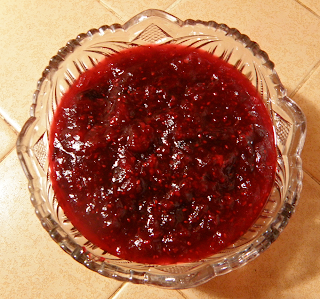 Quick and easy to prepare, it’s surprisingly zingy and creates a fresh new cranberry sauce experience. Maybe you’ll like this so well that you’ll serve it as your standard cranberry sauce next year. Yankee's “Classic Cranberry Sauce” is a recipe is from the charming volume Fruits of Fall, published as a supplement to Yankee Magazine in 2000. 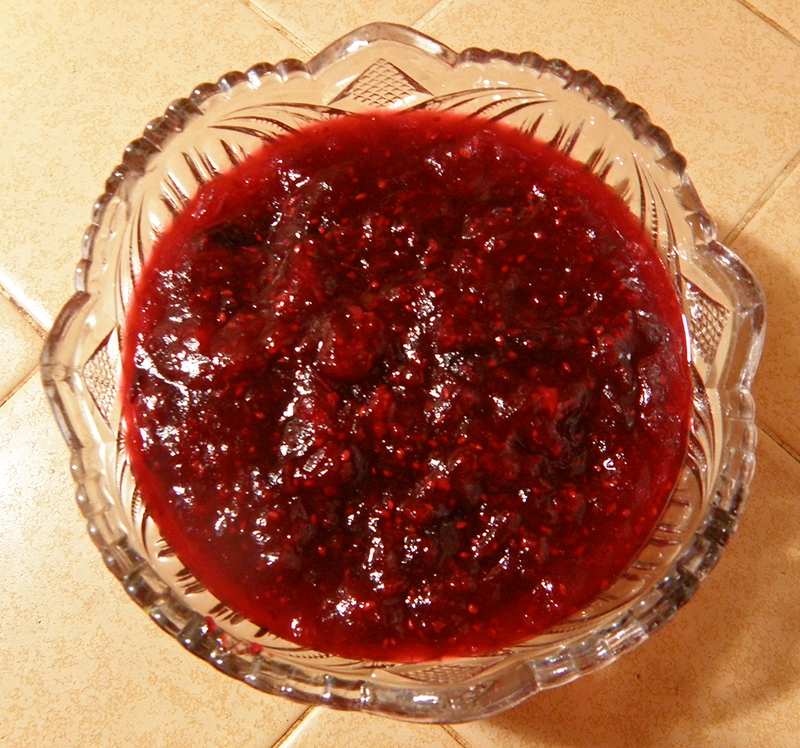 Although “classic,” it’s not traditional like Cranberry Orange Relish. 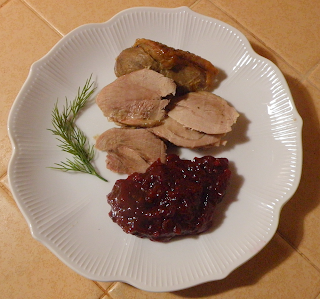 Even Wine Spice Cranberry Sauce seems traditional by comparison. Maple syrup supplies unusual sweetening power, and a substantial amount of grated ginger packs a punch. It’s delicious with any kind of poultry. I made a half-recipe, and quantities worked fine, but I reduced the cooking time by 5 minutes. I used a light colored syrup (grade A medium amber), and will try a darker syrup (grade B) next time. Yankee is an excellent source for seasonal recipes—their magazine, their recipe newsletter, and their new Best New England Recipes book. As they put it, “Here in New England we live by the seasons. They shape our days and inform our appetites.” Sounds like classic Seasonal Eating to me! 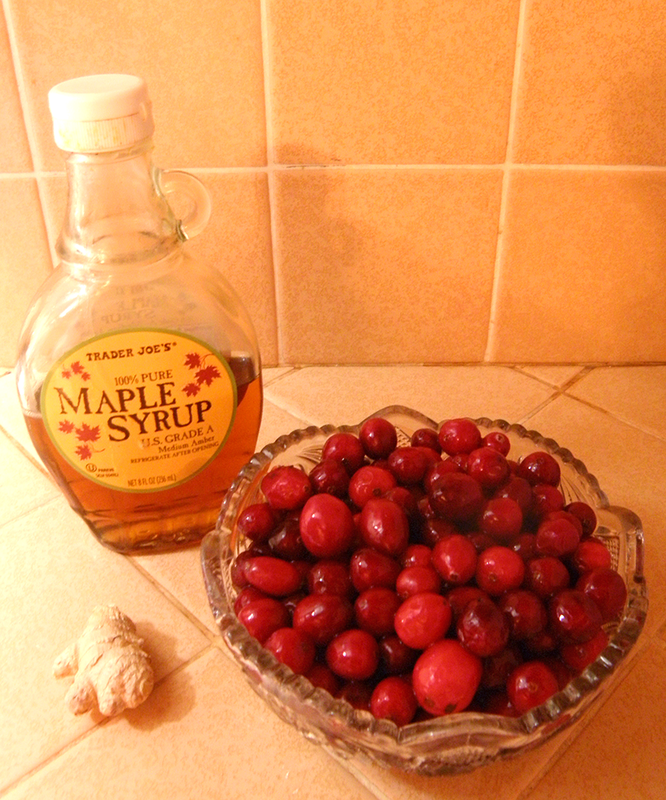 Wash cranberries and place in a large saucepan with water. Bring to a boil, reduce heat to medium-low, and simmer, stirring frequently, for 15 minutes, or until cranberries are soft and start to pop. Add maple syrup and ginger and cook 5 more minutes. Chill and serve with turkey, or use as glaze for baked ham.